Need help? You've come to the right place! Watch a video or read through the general questions and answers below. Can't find the answer you're looking for? Click the "contact us" button to let us know. The videos below were created for our parent website, UDigs.com, however they are applicable to SpartanSpaces too. Stay tuned... We've got more videos on the way! Q. Is it really free to add listings? A. Yes! By not charging for listings, we get more of them. Having more listings makes our site more of a resource for renters. We make money with a little bit of advertising sprinkled in throughout the site. Q. How will I be notified if someone contacts me about my listing? A. When a potential tenant clicks the "contact" button on a listing, they can send their name and a brief message with their phone number and/or email address. You will received this message via email to the email address for your account. Property Management companies also have the option to specifiy other email addresses to which we will send these referrals. Q. Do I have to be a company to add my listing? A. 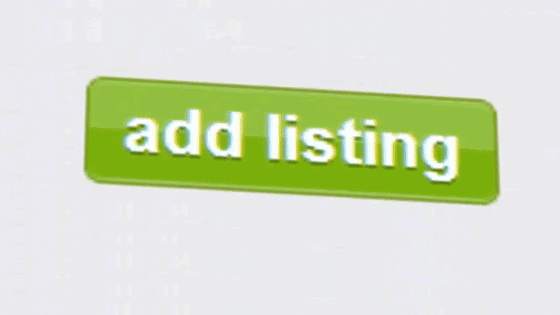 Anyone can add listings. If you're a homeowner you can list your house (or even just a room) for rent. If you're a renter, you can list a sublease, if you're a global real estate conglomerate you're welcome too! Of you have housing to rent near a college our univesity, add it! Q. How do I add photos and floorplans to listing? A. 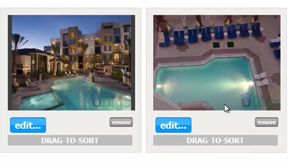 Once you list your rental, you can add an unlimited number of photos and floor plan images to it by click the "Photos & Floor Plans" link on the main Listing Manager menu. Q. How long does it take for my listings to be added to the site? A. Once you post the details of your rental and create a login your listing will be online instantly. Q. My listing is not in the correct location on the map, how do I fix it? A. From the Listing Manager main page, click on the "update mapping" choice. From there you can update the location of your listings. Q. How do I change the rent or "rented" status for my listing? A. If you aren't a part of a Property Management company, or you haven't associated your property managment company with your listing, from the Listing Manager main page, click on the "edit listing" choice. You can update the rent amount and other details here. 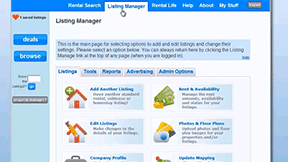 However, if your listing is associated with a property managment company, from the Listing Manager main page, click on the "rent & availability" choice. This will let you quickly update rent rates and "rented" status for your listings. Q. How do I delete my listing? A. From the Listing Manager main page, click on the "edit listing" choice. At the bottom of the "Edit Listing" page, click the button that says, depending on your type of listing, "delete listing", "delete sublease" or "delete homestay". You will be prompted to confirm, and once you click "yes" your listing will be removed. If your listing is associated with a propery management company, the "rent & availability" page will let you delete multiple listings at the same time. Q. Will people be able to rate or comment on my listings? A. Nope. This isn't a rental rating site. Too many ratings on other sites are just plain dishonest, and we'd just rather let the details of the listings speak for themselves. Q. I can't find my listing in the search results. Where is it? A. Listing are searchable as soon as they are added. If you posted a sublease, please make sure the sublease checkbox search option is selected. If it's a standard lease, make sure the "standard lease" option is checked. Also be sure that you're not selecting other options that would exclude your listing. Common search options that might exclude your listing Keep in mind that the default order for the search results is from lowest rent to highest rent. Q. I registered my company profile, but it is not showing up on the Browse page or the property managers criteria list on the search page. What gives? A. The property management company list on the Browse page and the management company criteria list on the Search page are designed to list companies that have many rental units. Regardless of whether or not you meet the criteria for these lists, all listings do appear on the "all rentals" and Standard, Sublease and Homestays on the Browse page. Most importantly, all listings appear in the results on the Rental Search page. If you manage several rentals, and yet are not showing up on the Browse page list of property management companies, please let us know. Q. Why is searching for standard rentals, subleases and homestays all combined on one page? A. We used to have seperate search pages for different types of rentals, however over the years we've found that renters sometimes don't care what kind of a rental it is. If you're looking for a specific kind of place within a certain budget, it's better to search all rental types. However, if you just want one kind of rental, you can select that search option too. Q. What's this "move-in month" thing on the search page? A. By selecting the month you're looking to move-in on, we're able to more precisely show you the correct rent amounts and sold-out status. For instance, if it's currently November, and you're looking for a place to live next school year in August, you want to see the rent and availability for then, and not what's available right now. Q. I ran across a listing with offensive information. What can I do? A. Let us know about the listing. We do not allow listings with offensive text or images and will take immediate action to remove the listing. Offensive rent on the otherhand is something that we can't do much about. Q. I sent a request to the property owner and have no heard back. What should I do? A. If it's been longer than you would expect for a property owner to reply you can send another request through the site, or you could use the phone number that was sent to you with the confirmation email you got when making the request. Q. The listing says the information is out of date. What does this mean? A. When a listing says that the information is out of date it means that the property owner has not updated their listings for some time. We still show the listing for your reference, but you should be aware that the information (like the rent) could be incorrect. This isn't always bad, as you may be able to use this information to aid you in negotiating the lease. Q. The price I found for an apartment seems way too good to be real (like $200/month for a 4 bedroom apartment), what's up? A. Every once in a while there are some unbelievably good deals out there. But, more likely one of two things has occured. Either the property owner mistakenly entered their per-bedroom price for the entire listing, or the property owner intentionally put a low price in their listing to get more people to see it. In any case let us know if you find a price that's wrong and we'll be sure to take immediate action. Q. I'm not a student or affiliated with a university, can I still find a rental for myself here? A. Of course! However, listings on our site are typically geared towards university renters. Be sure to check out the "typical residents" option on the search page. Q. If I email or call, can you suggest a few places to rent for me? A. Sorry, we can't do this. Give our search page a try. It offers plenty of options that will help you narrow down the list to what fits your needs best. Q. When I create an account, can I use a fake email address? A. We understand your concern for privacy and even use fake addresses ourselves on some sites. However, if you enter a fake email address and then request information about a listing, the person who posted it won't have a valid email address to respond to. Therefore we suggest you use a real email address. We won't send you SPAM and you'll only get the emails that you want. We periodically delete accounts that have had mail "bounced back" to us because the email address was invalid. Q. What happens when I sort or add a star rating to listings that I've saved? A. The star rating and order that you sort your saved listings in is for your own reference. Other people will not see how you rate listings. Q. I'm a property manager, and had an account before November 20th 2011. Now I can't login. Help! A. When you try to login, enter your property manager username in the email field, and password in the password field. You should then be prompted to create a new login and confirm some details about your company. Under some circumstances things can get a little tricky. Contact us and we will be happy to help you get set up. Q. Who runs this site? A. Content Driven Solutions, LLC owns and operates this site. See our about us page for more details. Q. Can I submit an article to be included on the site? A. Yes, you can submit an article for the site. Though we don't pay for articles, if we think your article is useful for our users, we will publish your article on sites serving multiple schools. Your article can include your name, email address and organization if you would like. This gives you a great chance to have your writing read by thousands of people. Q. What schools do you service? A. Really any school on the planet. When you post a rental listing, we'll check it against our database of nearby schools. If there's a nearby school that our database is missing, you can easily add it when you add your listing. Q. Do you work with the University or local apartment association? A. We work with these groups as much as possible. They provide valuable information and input for our users. If you are with one of these organizations and there is something we can do to help you, please feel free to contact us. Q. Are you an apartment locator or broker? A. No. Though we provide a means to compare apartments and rental houses on your own, we don't make any recommendations or receive commissions. Our goal is to provide you with an unbiased look at the rentals available in your area. A. We are here to answer your emails and calls Monday through Friday from 9:00am to 6:00pm (Pacific Time). A. We are happy to take calls concerning help with using our site, partnerships and advertising during business hours at (517) 325-9925. Please keep in mind that we are unable to help you find housing over the phone. Please note that this message goes to SpartanSpaces, and not a property manager or owner. Also, we can't make recommendations about specific rentals.